Well, there is another thing you need to notice. Don't sync your iPhone with iTunes after you find the data loss on your iPhone. Because iTunes only updates the backup file every time you sync with it, not to build a new backup file. So if you have synced your iPhone again, the backup file will be overwritten by the content on your iPhone, and the lost data will go forever. Get an iPhone backup extractor first: Wondershare Dr.Fone for iOS (Mac) (for Mac users) or Wondershare Dr.Fone for iOS (for Windows users). Both of the iPhone backup extractors enable you to extract the backup file and preview the contacts, SMS, photos, videos, calendar, notes and call history in details, no matter you are using iPhone 5, iPhone 4S, iPhone4, iPhone 3GS or the previous versions. You can recover them all according to your needs. 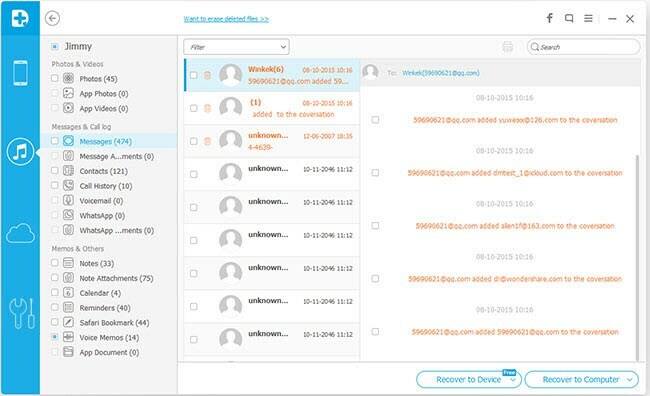 Moreover, the Wondershare Dr.Fone permits you to scan and recover data directly from iPhone 4/3GS. Wondershare Dr.Fone (Mac) also offers data recovery directly from iPhone 4 and iPhone 3GS function now. Wondershare Dr.Fone for iOS (Mac) Tutorial. Download the iPhone backup extractor below. 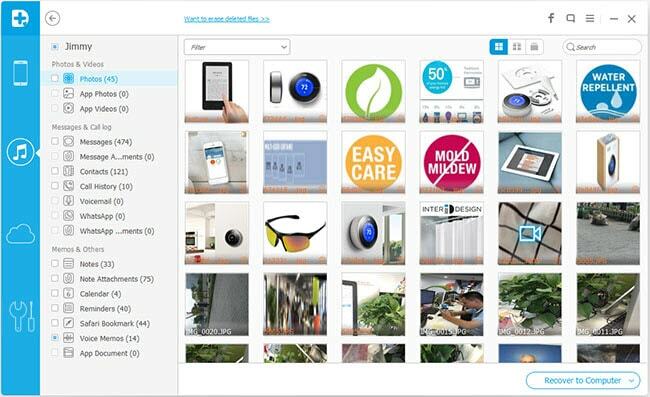 This free trial version allows you to extract and preview all the content in details. Here, let's do it with Wondershare Dr.Fone (for Windows) together. Free download the iPhone backup extractor, install and run it on your computer. What you need to pay attention is that don't connect and sync your iPhone with iTunes anymore after you lost data on your iPhone, to prevent lost data from being overwritten. 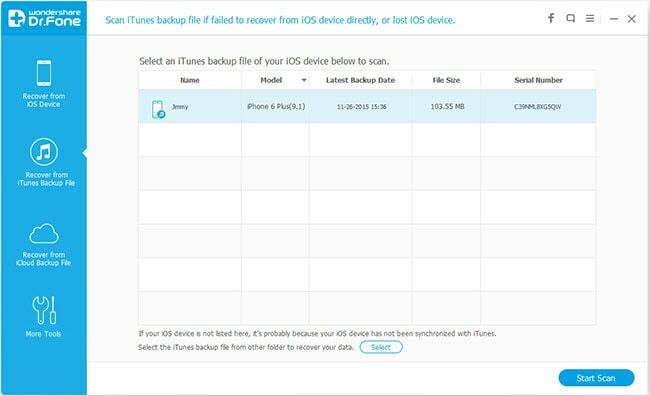 Any devices as iPhone, iPad, iPod that you have ever synced with iTuness, the backup file of it will be scanned out. Here you need to do is to choose the right device backup file and move to "Start Scan". Here all the content in the backup file has been displayed, and you can preview and check them one by one. After preview, check those you want back and hit to "Recover" and save them. To avoid losing data from your iPhone, do remember to backup it on your computer well. 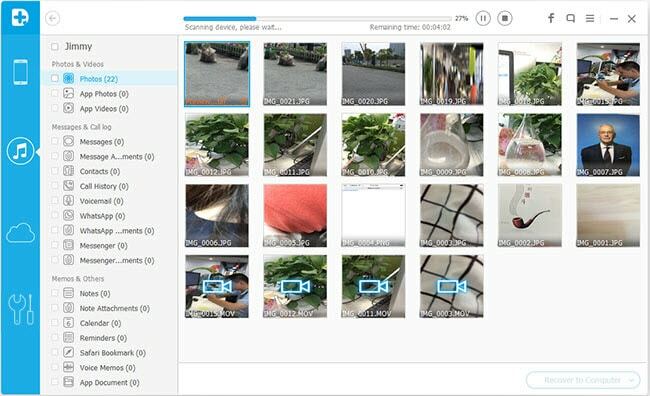 For Windows users, you can use Wondershare Dr.Fone to perform the backup extracting in similar steps. Additionally, this Windows version enables you to directly scan and recover data from iPhone 4 or iPhone 3GS.